Shazam! has managed to pre-sell 53,000 tickets, (average ticket price of £10.82), totalling £580K in pre-sales, giving a forecast of £3.4m this weekend. 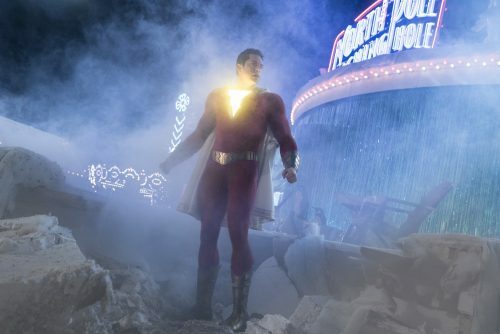 This will just nudge Dumbo off the top spot, and will put them ahead of other new releases, Paramount’s Pet Sematary and Entertainment One’s Peppa Pig: Festival of Fun, as well as Marvel’s latest superhero blockbuster, Captain Marvel. Last week was the maiden forecast of Applaudience has been met positively and upon analysis, was very successful. The top 5 films at the Box Office were forecast in the correct order; Dumbo, Captain Marvel, Us, Fisherman’s Friends & What Men Want. Captain Marvel’s Box Office was accurate to within a thousand pounds (£1,770,433) and What Men Want was only off by £10,000 (£300,641). The warm weather was certain to have impacted ticket sales last week, especially for the family friendly Dumbo and this is something that Applaudience will be looking to factor more into their forecast moving forward, for increased accuracy.